Deal: Save $110 on this 512GB microSD card! As storage capacity in smartphones has increased to where 64 GB has become the de-facto base model option in the high-end segment, more and more smartphone makers have opted to omit the inclusion of expandable storage. However, there are companies still offering phones with microSD card slots, which grants users the freedom to expand the memory of their devices to their hearts' content. Or, at least, to the limits of what is possible with consumer-grade flash memory at this point. 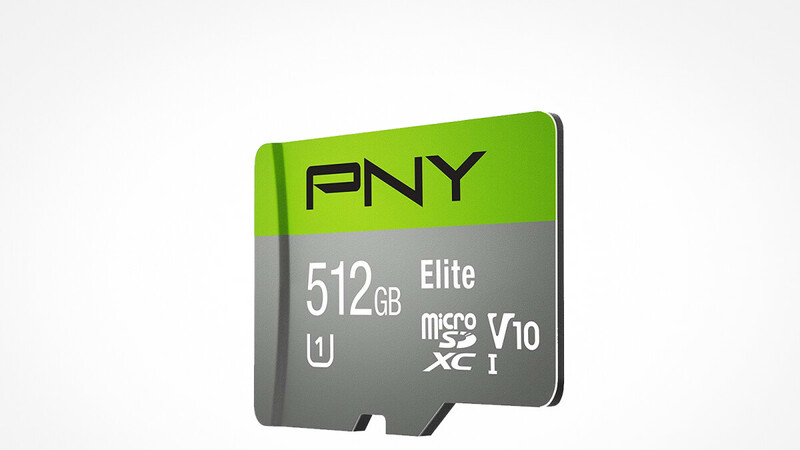 Speaking of 'limits,' you can't push them much further than with PNY's Elite 512GB microSD card. This being pretty much the biggest microSD card you can buy right now, it doesn't come very cheap. The PNY Elite 512GB usually retails for $349.99, but today only, you can save $110 on it and get it for $239.99 instead. If you've got your eye on this one for your smartphone or tablet, make sure to check whether your device is compatible with microSD cards of this capacity before pulling the trigger. PNY's Elite microSD card is a Class 10 device with capable of transfer speed of up to 90MB/s, which also makes it a good option for your camera. The deal is good through today, with 15 hours remaining on the clock as of the writing of this article.